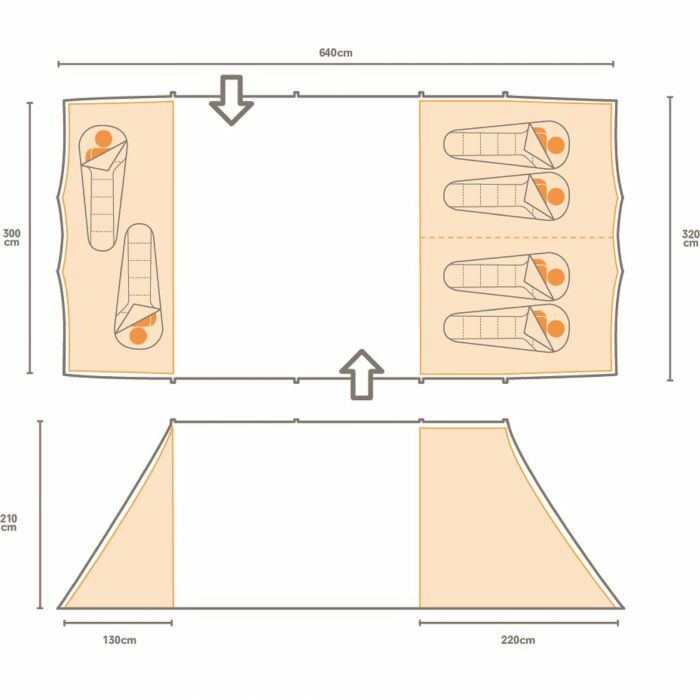 The Karuna 6-man tent offers an impressive amount of living space with stand-up height headroom and the option of two bedrooms. Designed with comfort in mind for longer camping trips, there is a spacious central area for all your furniture and accessories plus the option to add a side porch to increase floorspace even further. It’s your very own home-from-home.